Ten years ago when I regularly visited the south coast of NSW, I always did so under the lazy gaze of dozens of laconic pelicans. They’d usually look down from atop street lights, unfazed by noisy holidaymakers. But then, about three years ago, I stopped seeing them. The streetlights suddenly looked naked and unloved. No-one seemed to share my concern. Some told me they had moved inland because suddenly that’s where all the water was (which seemed strange, because the ocean also had not moved). Anyway, the good news is, they’ve returned! Four of them, at least, plonking themselves on a Mossy Point jetty seemingly unconcerned about the heartache they’ve caused. ← The day sliced bread really became the best thing. You’re not the only one who misses seeing pelicans. 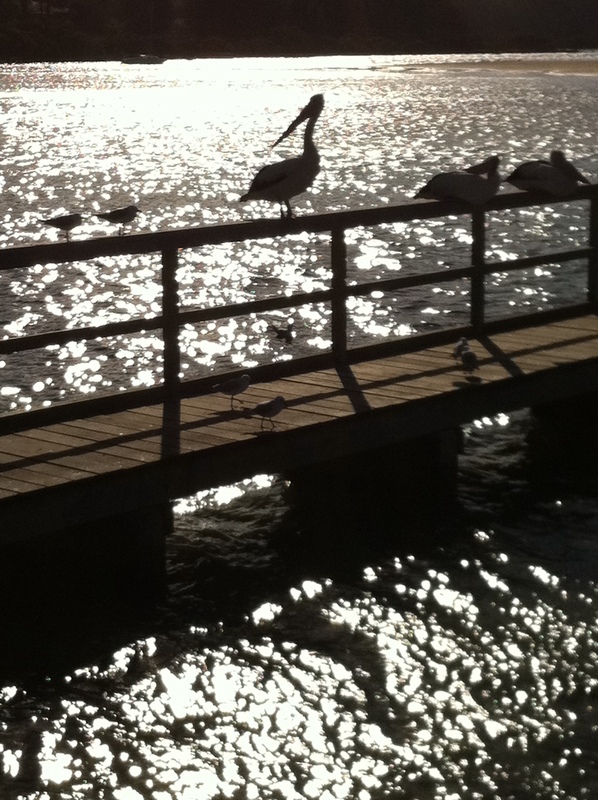 I used to see them all the time at Lake Tuggeranong. They haven’t been there for years 😦 although a flock of Seagulls is currently taking up overnight residence on & around the Jetty.